Kiri Campbell of Hawera NZ has been detained by the NZ Police and NZ Courts for exercising her rights. She is the only Maori Woman in the world to make a stand against the alleged foreclosed banks and corporations by using THEIR OWN FRAUDULENT INSTRUMENTS to bring the system to its knees for ‘The One People’ of Aotearoa and the World. She used the Mary Croft information to deposit 15,000,000.00 of her own value into a bank account as a way to reveal the fraud of the current banking and monetary system. After successfully drawing down the value from The Taranaki Savings Bank into her own account Kiri was charged with Fraud and Attempting to Obtain Pecuniary Advantage. During her incarceration she was coerced into signing release forms of some type which she did under duress and stated as much on the form itself. Kiri was also telling the public servants she encountered that her consent was NOT given for the proceedings at every stage of her interaction. The “authorities” are claiming fraud and dishonestly, yet Kiri made Notice of her intent at every stage. The courts will, during discovery, be forced to put all of that public evidence into the hearing which is going to detail all of the foreclosure flyer information and more importantly their violation of the 3 day right to rescind on contracts; provided under Contract Law and the UCC. The bank violated this right when they froze her accounts within 24 hours of the transaction being made. the basis for charging Kiri with fraud is because she was using an instrument of fraud: a check from a closed bank account. Yet our signatures on Negotiable Instruments are "monetized" all the time; The Deceptive Acts and Practices of the System are revealed by these actions. To deny this Declaration Of Value by Kiri is to deny every loan made for the past 50 years and more. This is a very big mistake, and as always the universe provides players to play their part. In this case the former TSB Bank had offered their hand. This is a call to help get her released from Custody and the Hawera Court this coming Tuesday. We are asking ‘The One People’ across the world to support with Courtesy Notices, Invoices, Prayer and BE PRESENT in the courthouse if you can on TUESDAY 30th JULY 2013 9am @ HAWERA COURT HOUSE New Zealand. 6. Make this viral across the internet. 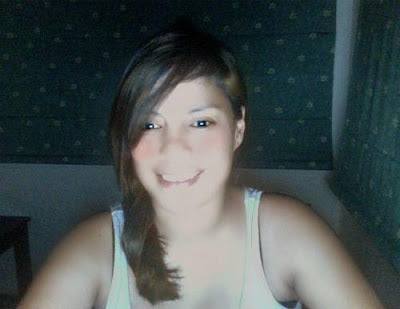 You can listen to an interview with Kiri from the 19th of July 2013 below. The Prime Minister John Key is refusing to accept responsibility for a journalist's phone records being given to Kitteridge inquiry and he says the Parliamentary Service was not ordered to release them. Washington DC – A new study by Indian glaciologists suggests black carbon from forest fires may affect the “reflectance” or albedo of glaciers in a manner that reduces their mass balance. The report indicates that the change in reflectance in 2009 was higher than in any other year from 2000 to 2012 and could only be explained by the extensive forest fires that year, the number of which was significantly higher than any other year between 2001 and 2010. The scientists noted that many small low-altitude Himalayan glaciers are currently melting by as much as 1 meter per year, more than double previous estimates. In addition to the Indian study, a new study conducted by researchers at the Los Alamos National Laboratory has found that climate models have underestimated the contribution of wildfires to global warming. Existing climate models assume that wildfires emit a mixture of warming black carbon particles along with organic carbon, thought to cause cooling by reflecting sunlight. The combination and ratio of the two types of particles was thought to cause net cooling or a neutral climate effect. The researchers, who began looking at wildfires after the 2011 Las Conchas fire threatened their own laboratory, found that wildfires also emit tiny, black balls of tar, at a rate ten times higher than these other particles. Further the black and organic carbon emitted by the fires are covered in an organic coating which acts like a lens to focus sunlight, increasing the warming by a factor of 2 or more. A series of studies led by Dr. V. Ramanathan of Scripps Institute of Oceanography have also found that that co-called brown carbon has a more a potent warming impact than many models account for, offsetting up to 60 to 90% of the cooling caused by other lighter organic carbons. Based on recent field studies Dr. Ramanathan and co-researchers estimate that the warming contribution of brown carbon causes organic carbon’s net impact to be close to zero, meaning that it does not offset the warming caused by co-emitted black carbon, which has been estimated to be the second most powerful climate forcer, behind only CO2. “Wildfires are only expected to increase as the climate warms,” added Zaelke. “So urgent action to reduce the rate of warming immediately can contribute to limiting such positive feedbacks, where the consequences of increased warming, such as forest fires, themselves increase warming. 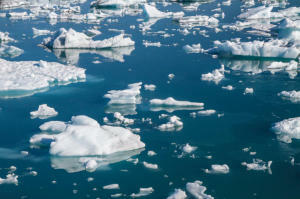 Year-round ice-free conditions across the surface of the Arctic Ocean could explain why Earth was substantially warmer during the Pliocene Epoch than it is today, despite similar concentrations of carbon dioxide in the atmosphere, according to new research carried out at the University of Colorado Boulder. The last time researchers believe the carbon dioxide concentration in the atmosphere reached 400 ppm -- between 3 and 5 million years ago during the Pliocene -- Earth was about 3.5 to 9 degrees Fahrenheit warmer (2 to 5 degrees Celsius) than it is today. During that time period, trees overtook the tundra, sprouting right to the edges of the Arctic Ocean, and the seas swelled, pushing ocean levels 65 to 80 feet higher. Scientists' understanding of the climate during the Pliocene has largely been pieced together from fossil records preserved in sediments deposited beneath lakes and on the ocean floor. 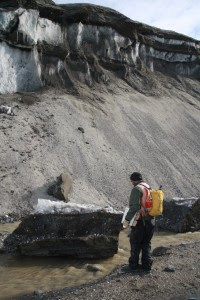 "When we put 400 ppm carbon dioxide into a model, we don't get as warm a planet as we see when we look at paleorecords from the Pliocene," said Jim White, director of CU-Boulder's Institute of Arctic and Alpine Research and co-author of the new study published online in the journal Palaeogeography, Paleoclimatology, Palaeoecology. "That tells us that there may be something missing in the climate models." "We tried a simple experiment in which we said, 'We don't know why sea ice might be gone all year round, but let's just make it go away,' " said White, who also is a professor of geological sciences. "And what we found was that we got the right kind of temperature change and we got a dampened seasonal cycle, both of which are things we think we see in the Pliocene." In the model simulation, year-round ice-free conditions caused warmer conditions in the Arctic because the open water surface allowed for evaporation. Evaporation requires energy, and the water vapor then stored that energy as heat in the atmosphere. The water vapor also created clouds, which trapped heat near the planet's surface. "Basically, when you take away the sea ice, the Arctic Ocean responds by creating a blanket of water vapor and clouds that keeps the Arctic warmer," White said. White and his colleagues are now trying to understand what types of conditions could bridge the standard model simulations with the simulations in which ice-free conditions in the Arctic are imposed. If they're successful, computer models would be able to model the transition between a time when ice reformed in the winter to a time when the ocean remained devoid of ice throughout the year. "We're trying to understand what happened in the past but with a very keen eye to the future and the present," White said. "The piece that we're looking at in the future is what is going to happen as the Arctic Ocean warms up and becomes more ice-free in the summertime. 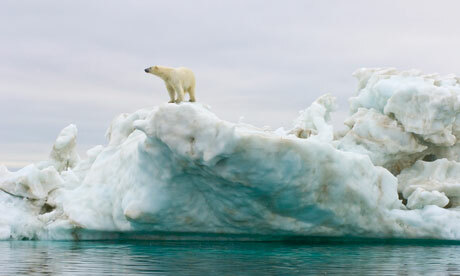 "Will we continue to return to an ice-covered Arctic in the wintertime? Or will we start to see some of the feedbacks that now aren't very well represented in our climate models? If we do, that's a big game changer." My great-grandmother grew up in a sod house in Nebraska. When she was a tiny girl—in other words, only four human generations ago—there were still enough wild bison on the Plains that she was afraid lightning storms would spook them and they would trample her home. Who in Nebraska today worries about being trampled by bison? For that matter, who in Nebraska today even thinks about bison on a monthly, much less daily, basis? This state of affairs is problematic for many reasons, not the least of which is that it’s harder to fight for what you don’t love than for what you do, and it’s hard to love what you don’t know you’re missing. It’s harder still to fight an injustice you do not perceive as an injustice but rather as just the way things are. How can you fight an injustice you never think about because it never occurs to you that things have ever been any different? Declining baselines apply not only to the environment but to many fields. Take surveillance. Back in the 1930s, there were people who freaked out at the notion of being assigned a Social Security number, as it was “a number that will follow you from cradle to grave.” But since 9/11, according to former National Security Agency official William Binney, the U.S. government has been retaining every email sent, in case any of us ever does anything the government doesn’t like. How many people complain about that? And it’s not just the government. I received spam birthday greetings this year from all sorts of commercial websites. How and why does ESPN.com have my birth date? And remember the fight about GMOs? They were perceived as scary (because they are), and now they’re all over the place, but most people don’t know or don’t care. The same goes for nanotechnology. This is a process we need to stop. Milan Kundera famously wrote, “The struggle of man against power is the struggle of memory against forgetting.” Everything in this culture is aimed at helping to distract us from—or better, help us to forget—the injustices, the pain. And it is completely normal for us to want to be distracted from or to forget pain. Pain hurts. Which is why on every level from somatic reflex to socially constructed means of denial we have pathways to avoid it. But here is what I want you to do: I want you to go outside. I want you to listen to the (disappearing) frogs, to watch the (disappearing) fireflies. Even if you’re in a city—especially if you’re in a city—I want you to picture the land as it was before the land was built over. I want you to research who lived there. I want you to feel how it was then, feel how it wants to be. 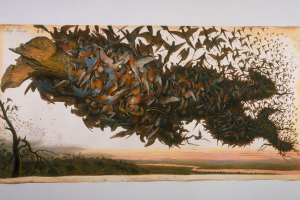 I want you to begin keeping a calendar of who you see and when: the first day each year you see buttercups, the first day frogs start singing, the last day you see robins in the fall, the first day for grasshoppers. In short, I want you to pay attention. If you do this, your baseline will stop declining, because you’ll have a record of what’s being lost. Do not go numb in the face of this data. Do not turn away. I want you to feel the pain. Keep it like a coal inside your coat, a coal that burns and burns. I want all of us to do this, because we should all want the pain of injustice to stop. We should want this pain to stop not because we get used to it and it just doesn’t bother us anymore, but because we stop the injustices and destruction that are causing the pain in the first place. I want us to feel how awful the destruction is, and then act from this feeling. And I promise you two things. One: Feeling this pain won’t kill you. And two: Not feeling this pain, continuing to go numb and avoid it, will. LANDSAT IMAGE MOSAIC OF ANTARCTICA. 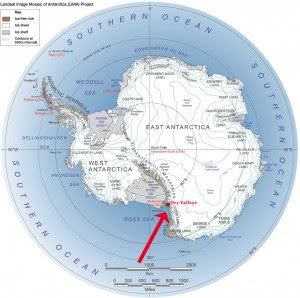 Garwood Valley lies within the McMurdo Dry Valleys region of Antarctica. 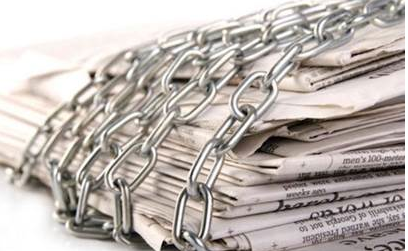 There is some discussion to the challenge to freedom of journalism in this country because it concerns 'one of their own'. Speaker David Carter's admission that Parliament supplied a ministerial inquiry with Fairfax Media journalist Andrea Vance's phone records is a bombshell. It comes on the back of Parliament's admission that Vance's movements were also tracked as part of the Government's efforts to find the "mole" who leaked her a report on the Government Communications Security Bureau. Fairfax Media got wind something was up when Vance was hastily summoned to the Speaker's office yesterday morning. A deeply embarrassed Carter owned up to the breach and offered Vance an extraordinary apology. Only days ago, Carter gave Parliament an assurance that the phone records were not handed over. The admission raises more questions than it answers - including why it has taken so long for the truth to come out. The other burning question - on whose say-so was the information handed over - has also gone unanswered. In the case of the phone records, Carter says that the information was supplied by a low-level contractor without first checking with either himself or Parliamentary Service general manager Geoff Thorn. Carter says he can't explain why it happened when apparently the inquiry - headed by former public servant David Henry - never asked for Vance's telephone records. That suggests either an extraordinarily cavalier attitude towards media freedom, or a culture in which reporters are considered a fair target for investigation. The latest, equally sinister, revelations that the Defence Force lumped journalists in with subversives and extremists such as al Qaeda suggest the latter. That should be deeply disturbing to everyone. Journalists working in the parliamentary precinct deal regularly with sensitive information provided by confidential sources. Their ability to hold MPs and the Government to account would be seriously compromised if neither they nor their sources can have any faith that their every move and phone call is not being tracked. Fairfax Media's political editor says decisions on Press Gallery journalists' private information need to be made only by Parliament's Speaker, not low-level bureaucrats. The Speaker of the House, David Carter, has personally apologised to Fairfax Media's Andrea Vance after her phone records were released to an inquiry looking into the leaking of a report about the Government Communications Security Bureau. Last week, Mr Carter said the records were not handed over, but on Tuesday said he had been made aware that a Parliamentary Service contractor inadvertently provided three months' worth of Ms Vance's phone records to Mr Henry. The political editor at Fairfax Media, Tracy Watkins, says the release puts Press Gallery reporters' confidence in their own privacy at risk and the handling of their information needs to be better managed. "It really cuts to the heart of our ability to operate around Parliament and talk to MPs and bureaucrats as well and be confident that that's not going to be somehow tracked for the purposes of finding out who our sources are," she told Radio New Zealand's Morning Report programme. Ms Watkins says there must be firm protocols and clear understanding that decisions no records are made at a level lower than the Speaker. "If for instance we were asked would we ever hand over details that might in any way compromise a source, we would never do that. So we need a watchdog in place to make sure our rights are protected, and that needs to be the Speaker, ultimately." The chair of the Parliamentary Press Gallery, Clare Trevett, says the ability of journalists to do their job should be sacrosanct and says she was shocked that the phone records were released. Green Party co-leader Russel Norman says the release of the journalist's records, claims another journalist's phone calls were monitored by the Defence Force and progress through Parliament of GCSB legislation which could allow metadata to be collected on journalists amount to a systematic attack on the media. Dr Norman says the committee needs to find out who in the Parliamentary Service decided it was acceptable to release the phone records as well as MP Peter Dunne's emails. Deputy leader of the Labour Party, Grant Robertson, told the House on Tuesday the handing over of the phone records was a serious and disgraceful action. 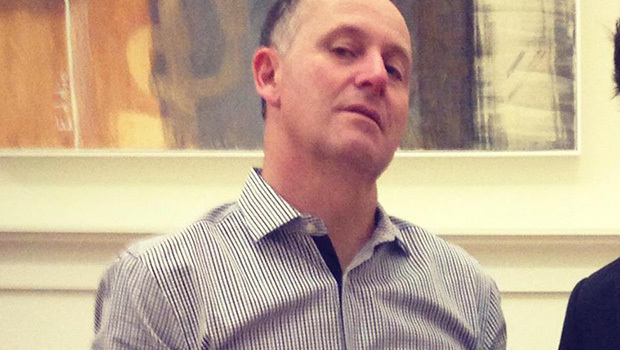 Prime Minister John Key says the Government has enormous respect for the fourth estate. He says he doesn't think journalists should be subject to surveillance, and they are not. Media Freedom Committee chair Tim Murphy says the wider issue in the release of phone records to the ministerial inquiry is that different arms of the state seem to think they can get information any way they wish. He says the fact a contractor decided to pass along the records, which were not requested, defies rational belief. The release of a Press Gallery journalist's phone records to a top-level inquiry has been roundly condemned in Parliament and by members of the media. We're joined by the Fairfax Media political editor, Tracy Watkins, and the former TVNZ head of news and public relations consultant Bill Ralston, who is also a former press gallery journalist. An about turn by Parliament's Speaker on how a political reporter's phone records were given to a prime ministerial inquiry seems to have only added to confusion over the chain of events. Revelations that the Henry inquiry, acting on John Key’s mandate, obtained a journalist’s phone records highlight a culture where private information is public under the National Government, the Green Party said today. In response to Green Party written questions Speaker David Carter has revealed that journalist Andrea Vance’s telephone records were given to the John Key-mandated Henry inquiry. “It’s a dark day for democracy when a journalist’s phone records can be secretly taken and given without her permission to an inquiry acting under the Prime Minister’s authority,” Green Party Co-leader Russel Norman said today. “In response to my written questions Speaker David Carter has admitted previous answers he provided to me were wrong. Mr Carter previously said the Henry inquiry sought Ms Vance’s email records but now Mr Carter says that was incorrect and instead the inquiry was provided the records unprompted. “We need to know who took it upon themselves to offer up that information and I am sure the Privileges Committee will look at it. “The reality is that there is a culture that has developed under this Prime Minister where rules and rights are treated as expendable. “Further Green Party written questions, which we are releasing today, show that Parliamentary Service released then United Future leader Peter Dunne’s email records to the Henry inquiry without his permission on the basis of an email from John Key’s chief of staff Wayne Eagleson. “When the PM’s office said ‘jump’ Parliamentary Service said ‘how high?’ It is clear Parliamentary Service felt pressured by the PM’s office to comply. "We are seeing a pattern of anti-democratic and menacing behaviour by the Prime Minister and the Prime Minister's office that is alarming," Dr Norman said. Q: Did the Parliamentary Service grant approval to anyone to access Andrea Vance’s telephone records?